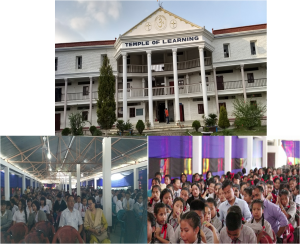 A workshop to heighten awareness of environmental hazards of electronic waste among school children was held at the Temple of Learning, Kha-NaoremLeikai, Canchipur, Imphal on 28th of April 2017. 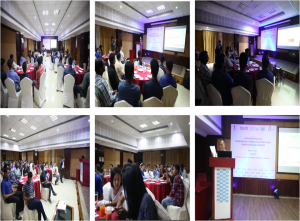 The workshop was conducted by Consumer Electronics and Appliance Manufacturers Association (CEAMA) on behalf of Ministry of Electronics and Information Technology. It is a part of a series of initiatives on e-Waste under Digital India. The awareness programme is part of the sensitisation campaignto educate the dealers associated with electrical and electronics instruments about e-waste andit’s ever increasing ecological and environmental impactas a result ofincorrectprocedures of disposal being followed for such waste. The programme detailed on the discrete steps of recycling, refurbishing and theprotocols to be followed at different levels for disposal and the overall responsibilities of associated dealers and other stakeholders. The event witnessed attendance of more than 40 dealers.